In a time of economic anxiety, fear of terrorism, and marital uncertainty, insecurity has become a big part of life for many American mothers. With bases of security far from guaranteed, mothers are often seeking something they can count on. 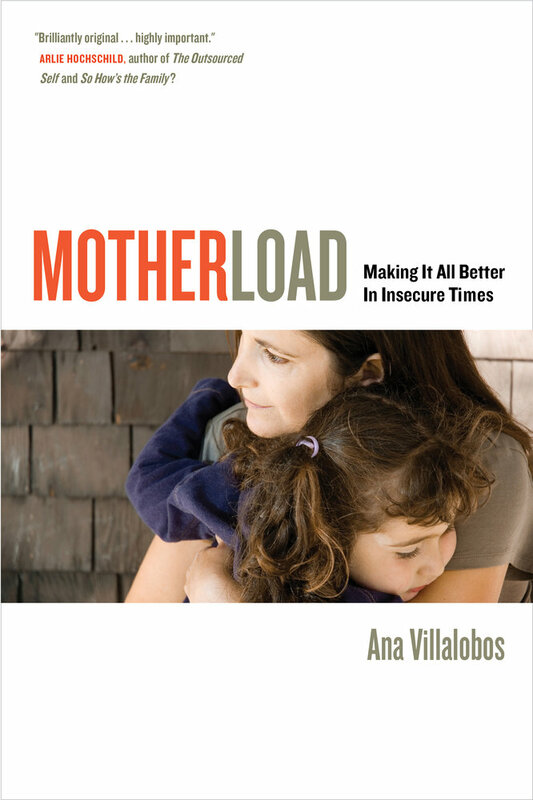 In this beautifully written and accessible book, Ana Villalobos shows how mothers frequently rely on the one thing that seems sure to them: the mother-child relationship. Based on over one hundred interviews with and observations of mothers—single or married, but all experiencing varying forms of insecurity in their lives—Villalobos finds that mothers overwhelmingly expect the mothering relationship to "make it all better" for themselves and their children. But there is a price to pay for loading this single relationship with such high expectations. Using detailed case studies, Villalobos shows how women's Herculean attempts to create various kinds of security through mothering often backfire, thereby exhausting mothers, deflecting their focus from other possible sources of security, and creating more stress. That stress is further exacerbated by dominant ideals about "good" mothering—ideals that are fraught with societal pressures and expectations that reach well beyond what mothers can actually do for their children. Pointing to hopeful alternatives, Villalobos shows how more realistic expectations about motherhood lead remarkably to greater security in families by prompting mothers to cast broader security nets, making conditions less stressful and—just as significantly—bringing greater joy in mothering. Ana Villalobos is Assistant Professor of Sociology, Brandeis University. "In this brilliantly original book, Ana Villalobos illuminates an unobserved link between insecurity as a mother experiences it and the unnoticed 'security project' she infuses into her mothering. . . . Based on over 150 interviews with young mothers—most followed over a course of three years—Villalobos shows what can happen when one relationship is made to bear the increasing weight of 'society-sized insecurity.' A highly important book." —Arlie Hochschild, author of The Outsourced Self and So How’s the Family?